Mali's northern deserts remain impoverished and underdeveloped. Growing desertification has made herding and farming difficult. Kidnappings and insecurity have killed off tourism, which was a key industry for the Tuareg in recent decades. Insecurity has also prevented exploration of potential oil, gas and mineral deposits. Northern Mali is a different world from the south, and independence is now all the Tuaregs say they will consider. The Tuareg have their own language and a distinct matriarchal culture. It is the men who must cover their heads and faces with turbans that are said to ward off evil spirits and block out the harsh desert sun and wind. By early 2012 there was increasing concern in Mali about Tuareg activity, particularly since the Tuaregs had less to fight about in Libya and had moved on to Mali. Fighting broke out between the Malian military and the National Movement for Liberation of the Azawad (MNLA) on January 17, 2012 when MNLA forces attacked a National Guard installation in Menaka, near the Niger border in the eastern Gao Region. The rebellion, launched on 17 January 2012 was the fourth major Tuareg armed rebellion in Mali since 1963. On January 18, MNLA forces also attacked military installations in the towns of Tessalit and Aguelhok, which are located in Kidal Region near the Algerian border. The MNLA also conducted attacks against Anderamboukane, in Gao region, and Léré, in Timbuktu region. Anger over military deaths in the North spilled into violent protests in Kati on February 1 and began spreading throughout the nation on February 2. Protest incidents, including some attacks on businesses, residences, and cars, were reported in Bamako, Kati, Segou, Sikasso, Koulikoro and Gao; these protests did not recur. The President of Mali, Amadou Toumani Toure, was deposed on 22 March 2012 in a coup in the capital, Bamako, by soldiers angry at his handling of the Tuareg rebellion in the north. The mutineers charged he had left the army poorly equipped to fight the Tuareg rebels in the north. The coup came just weeks before elections and the scheduled end of Toure's term. By 30 March 2012 Tuareg rebels took control of a key town in northeastern Mali. The rebels entered Kidal a day after launching an offensive on the remote town, the capital of Mali's Kidal region. Reports from the area say the rebel MNLA was assisted by an Islamist group known as Ansar Edine. Since the coup, the rebels had captured the strategic town of Kidal, the garrison town of Gao and just a few days ago, the ancient, mythic town of Timbuktu. The north of the country is becoming more and more dangerous due to the proliferation of armed groups in the region. Ansar Dine is an Islamist group suspected of having links to the regional group al-Qa'ida in the Islamic Maghreb (AQIM). Ansar Dine had also entered some areas and started imposing Sharia, or Islamic law. The Ansar Dine black banner was flying over Timbuktu by 02 April 2012. In Timbuktu, citizens reported that Ansar Dine chased out the MNLA and had begun ordering women to cover themselves with veils, saying they did not want independence, but Islamic law. The group broke off from the MNLA in March 2012. The MNLA separatists tried to shake off associations to Islamic extremism. The MNLA maintained that it was in a state of coexistence, and not cooperation, with Ansar Dine. Ansar Dine was founded by the renowned Tuareg commander Iyad ag Ghali [Iyad Ag Ghaly], who led the rebellion between 1990 and 1995. He later was a key player in the peace talks between the government and Tuareg during the 2006-2009 rebellion. Ansar Dine made its presence on the northern battlefield known in February with the release of a video in which it said it wanted to impose sharia law in Mali and named Ag Ghaly its commander. The coup crippled Mali's already insufficient military capabilities. Mali's allies, including the United States, cut off all military assistance until the junta restores constitutional order. By early April 2012 the security forces of Mali had split, some of them joining the junta leaders, some of them still supporting the elected government, but all had stopped fighting the Tuaregs in the north. The result was that the Tuaregs had made a march not only on Gao but on Timbuktu, and the situation had become considerably worse. The government in Mali needed not only to be fighting, but also to be providing an opportunity to address legitimate political grievances in the north. On 03 April 2012, US State Department spokesperson Victoria Nuland said "The United States remains deeply concerned about the ongoing political crisis in Mali. Mali’s territorial integrity is at stake, and its political institutions will be further weakened if Captain Amadou Sanogo and his supporters do not release their illegitimate grip on Mali and its people immediately. We commend the ongoing leadership of the ECOWAS group to restore full civilian and constitutional rule, and we echo ECOWAS’s call – that’s hard, echo ECOWAS’s call – on Captain Sanogo and his supporters to return to power – return power to the civilian leadership, consistent with Mali’s constitution. "At the same time, the United States urgently calls on all armed rebels in the north of Mali to cease military operations that compromise the Republic of Mali’s territorial integrity, and we exhort all parties in the north to ensure the safety and security of Mali’s northern populations. As civilian leadership is restored in Mali, we also urge all armed rebels to engage in dialogue with the civilian leaders in Bamako to find a nonviolent path forward for national elections and peaceful coexistence." As the international community watched Tuareg rebels and Islamist militants position themselves in Mali’s northern cities, in Bamako people of the north’s other ethnic groups said they will never accept the confiscation of their home regions. In a communique read on state television on Tuesday, a member of COREN, an association of people from the north, says before the division of Mali becomes irreversible, they call on all people from the north - men, women, civilians, military - to talk about how to recover their territory. COREN members say the immediate task is helping people who are trapped in cities where shops, markets, banks, grain reserves and hospitals have been looted, and water and food were running out. Due to erratic rainfall, high food prices, and localized dry spells in 2011, areas of West Africa’s Sahel region will likely experience acute food insecurity in 2012. According to the USAID-funded Famine Early Warning Systems Network (FEWS NET), localized areas are expected to reach Acute Food Insecurity and Livelihood Crisis—Integrated Phase Classification (IPC) 31—in 2012, particularly from April to September. Acute food insecurity is likely to be most severe in agro-pastoral and rain-fed agricultural areas of western Mali, northern Burkina Faso, western Niger, and central Chad, in addition to southern Mauritania, where vulnerable populations have already begun to face crisis-level food insecurity. The food situation in Mali was exacerbated by violence that resumed in late January 2012 between Tuareg rebels — many of whom returned from the conflict in Libya in possession of weapons — and Government of Mali armed forces. By mid-February 2012 approximately 36,000 people had reportedly fled to neighboring countries as a result of renewed insecurity, the UN reported. Of the total, more than 13,000 people have fled to already food-insecure areas in southern Mauritania, 8,000 to Burkina Faso, 5,000 to Algeria, and more than 10,000 to Niger’s Tillabéri Region, one of the most chronically food-insecure areas in the region. In addition, more than 30,000 Malians are internally displaced, primarily in the eastern regions of Kidal and Gao, according to the Office of the U.N. High Commissioner for Refugees (UNHCR) and the International Committee of the Red Cross (ICRC). The causes of hunger and malnutrition in the Sahel are deeply rooted and multifaceted. Chronic under-development and multiple droughts in recent years have left the population fragile and vulnerable, even to small shocks. Below average rainfall and crop production shortages in 2011 have resulted in reduced food and livestock fodder availability in parts of Mali, Mauritania, Niger, Chad, and elsewhere in the Sahel region of West Africa, where many vulnerable families are still recovering from the 2009–2010 food crisis. Average acute malnutrition rates peak between July and September — the height of the lean season for agriculturalist and agro-pastoralists, who compose the majority of the Sahelian population. The separatist National Movement for the Liberation of Azawad (MNLA), declared a cease-fire on Thursday 05 April 2012, saying it had accomplished its goal. The Tuareg rebels, along with Islamist fighters, seized the cities of Kidal, Gao and Timbuktu over a three-day period beginning a week earlier. It was not immediately clear whether the Islamist militant group Ansar Dine, which fought alongside the rebels, will also put down their weapons. The group, which has been linked to the al-Qaida branch (AQIM) in northern Africa, had imposed Islamic law in some areas. The heavily armed Tuareg rebels arrived in northern Mali after the fall of Moammar Gadhafi in Libya, and launched an insurgency in mid-January 2012. Tuareg separatists have been seeking autonomy for decades. The MNLA has reiterated that it is "determined to continue their operations until Mali recognises the Azawad's population right to self-determination". A group of men broke into the office of Interim President Dioncounda Traore on 21 May 2012 and beat him until he was unconscious. Mr. Traore went to France for medical treatment and stayed there for two months. The interim president's attackers supported the March 22 military coup led by Captain Amadou Sanogo. There are claims the former junta is continuing to meddle in government affairs and may be trying to undermine the transition back to constitutional rule. Ansar Dine spokesman Sanda Ould Boumama said shortly after taking control militants began teaching people about “all things that are forbidden by their religion.” He said the population was initially “very reluctant” to accept the militants' point of view. But he said eventually they did and – in his words – “now we don't have any problem.” Boumama defended recent punishments by extremists, including public floggings and the amputation of a suspected thief's hand. “We are Muslims. We are going to implement Islamic law, and Islamic law punishes thieves this way.” In July 2012, Ansar Dine executed a couple accused of adultery by stoning them to death. Boumama also justified the destruction of the ancient tombs of Muslim saints in Timbuktu, saying it is forbidden to pray there. In August 2012, militants ordered radio stations in the region to stop broadcasting all non-Islamic music, saying it is “forbidden” by Islam. Witnesses say Ansar Dine and another group, MUJAO, are being supported by al-Qaida's northern Africa branch, known as al-Qaida in the Islamic Maghreb. 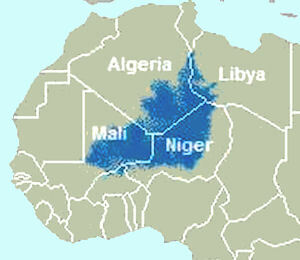 The United Nations and western powers have expressed concern that northern Mali is becoming a safe haven for terrorists. On 20 August 2012, Mali formed a unity government under the leadership of the interim prime minister. He had been sharing power with Sanogo and interim President Diouncounda Traore. Mali's transition leaders announced a new unity government with 31 ministerial posts. Five of them were believed to be supporters of coup leader Captain Amadou Sanogo. The new government replaces the transitional one created in April, following the March 22 military coup. Through its Resolution 2056 (2012) on Mali of 05 July 2012, the Security Council called for the development and implementation of a UN integrated strategy for the Sahel aimed at enhancing the UN’s response to countries in the Sahel by increasing coordination, effectiveness and efficiency through a more comprehensive and coordinated approach. To enhance the United Nations’ action in dealing with the challenges facing the Sahel region, the Secretary General appointed M. Romano Prodi as his Special Envoy to the Sahel, whose task is, inter alia, to spearhead the development and implementation of the UN strategy and, subsequently to the adoption on 12 October 2012 of Security Council Resolution 2071(2012), to “defining the parameters of a comprehensive solution to the Malian crisis”. United Nations Secretary-General Ban Ki-moon announced 09 October 2012 the appointment of Mr. Romano Prodi of Italy as his Special Envoy for the Sahel. The Special Envoy will undertake good offices on behalf of the Secretary-General, particularly in support of national, regional and international mediation efforts in the subregion, and especially regarding cross-border and transnational issues. He will help generate, sustain and coordinate international engagement in support of national efforts of Sahelian countries to address the multifaceted crisis, including with an initial focus on Mali. Prodi has an extensive career in international diplomacy, academia and at the helm of international organizations. He served as Prime Minister of Italy from 2006 to 2008 and from 1996 to 1998. Mr. Prodi also served as President of the European Commission from 1999 to 2005, overseeing the introduction of the euro, the enlargement of the European Union to ten countries from Central, Eastern and Southern Europe, and the treaty establishing a Constitution for Europe. Earlier, Mr. Prodi served as Italian Minister of Industry (1978-1979) and head of the Institute for Industrial Reconstruction. On November 14th, 2012 the African Union has endorsed a plan for military intervention to help oust Islamist militants from northern Mali. Following AU approval, the proposal must clear the United Nations Security Council. AU Peace and Security Council Commissioner Ramtane Lamamra urged the world body to authorize an initial one-year deployment. He says the effort aims to regain control of the northern territory, dismantle terrorist networks and restore the government's authority across all of Mali. The security situation in the north continued to deteriorate, with clashes between the major movements, and reports that Al-Qaeda in the Islamic Maghreb (AQIM) had backed at least one group, the Movement for Unity and Jihad in West Africa (MUJAO) in its battles with the Movement for the Liberation of Azawad (MNLA), which had participated in negotiations facilitated by the the Mediator for the Economic Community of West African States (ECOWAS), President Blaise Compaoré of Burkina Faso. A third group, Ansar Dine, had also participated in the meetings while it continued fighting and holding territory. There were continuing reports of jihadists and terrorist elements arriving to join the armed groups. Gross human rights abuses continued as well, including summary and extrajudicial execution, sexual and gender-based violence, recruitment and use of child soldiers and torture. Ansar Dine continued to destroy historical, cultural and holy sites in Timbuktu. Over 400,000 persons had fled the north, with half of them crossing borders into neighboring countries. An estimated 5 million persons had been affected by the conflict, with about 600,000 children under five facing severe malnutrition. United Nations military and police planners had also worked closely with ECOWAS and the African Union, in close consultation with Malian authorities, in developing a strategic operational framework for the proposed African-led International Support Mission in Mali (AFISMA), which would support Malian defence forces in operations to restore the territorial integrity of the country. Questions remained, however, regarding how the international and Malian forces would be led, sustained, trained equipped and financed. Moreover, division of tasks between the forces, command and control, civilian oversight and timelines were issues that still needed to be addressed. On 10 December 2012 the UN Security Council called for a “swift” response to the crisis in Mali, saying the situation there threatens regional peace and security. The 15-nation Council said Monday that a comprehensive and strategic approach is needed that includes restoring Mali's territorial integrity and preventing further destabilization of other countries in Africa's Sahel region. The Economic Community of West African States was making plans to send a force of between 3,000 and 4,000 soldiers to retrain the Malian army and help retake the north. EU foreign ministers approved a plan to deploy an EU military training mission in Mali to help the government regain control of the north. Under the plan, some 250 EU military personnel would be sent there to train Malian troops and help restructure the country's weakened army. The soldiers, who mutinied and then overthrew the elected president on March 22, closed the year by forcing out the interim prime minister and his government. On 10 December 2012 Mali's interim Prime Minister Cheikh Modibo Diarra has resigned, just hours after he was arrested by soldiers as he was allegedly trying to leave the country. On 23 December 2012 Islamist militants began once again tearing down ancient mausoleums in the northern Malian city of Timbuktu. The Ansar Dine group were destroying the mausoleums with pickaxes. The militants destroyed several mausoleums in the city in July, after the U.N. cultural agency, UNESCO, put Timbuktu on its list of sites that are in danger. UNESCO had listed Timbuktu as a World Heritage site for its ancient mosques and shrines, some of which date back to the 15th century. The sites are revered by many Muslims but Ansar Dine considers them sacrilegious on the grounds that people worshipped at the sites, a practice deemed un-Islamic.